Have you been hearing squeaking or scratching noises in attic? If so, you may have a bat in house or bat in attic. The Critter Team provides bat control and bat removal services in Kingwood Texas and the greater Houston area. Bat colonies often take up residence in homes, businesses or industrial facilities. The buildup of bat guano in attics can pose a serious health hazard to you and your family. The Critter Team is a professional wildlife management company specializing in the control, removal and exclusion of bats. Call The Critter Team at 281-667-0171 to schedule a detailed onsite inspection and prevent a bat infestation in your home, commercial business or industrial facility. 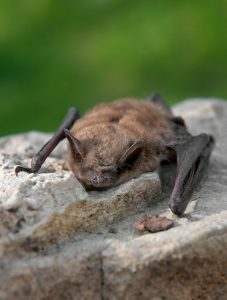 The Critter Team expertly removes nuisance bats from Kingwood Texas homes and businesses. We remove all bat species in a safe and humane manner. Our professionally trained wild animal operators will also clean up the guano, repair the damage and professionally seal your home or business to permanently prevent reentry. The Critter Team serves Kingwood TX and surrounding communities throughout the greater Houston area. The Critter Team is prepared to assist you with any and all Kingwood TX nuisance wildlife problems. We have been authorized to remove and relocate all wild animal species by the state of Texas. The Critter Team has extensive experience providing bat removal, dead bat removal and guano clean up services. Ask about our one-year guarantee on many of the wildlife management services we provide. The Critter Team can meet all your bat control, guano clean up and other bat infestation services. Always choose a licensed and insured wildlife management company that offers a comprehensive array of nuisance wild animal control and removal services. A professional wildlife company has received a valid Wildlife Removal permit from the Texas Wildlife & Fisheries Agency. • Big brown bats form colonies and give birth in early summer. They like attics and are vulnerable to white Noise Disease. Big brown bats are environmentally friendly mammals that only eat insects. • Big eared Townsend bats are native to the United States and Mexico. Their mating season occurs during the fall, and the gestation period lasts about 60 days. Big eared bat colonies range from 12 to 200 members. • 85 percent of all bat related calls involve brown bats in the attic of a home or business. Brown bats are the second leading carrier of rabies in the United States. A brown bat colony is composed of 1000 or more members. Brown bat guano is known to carry dangerous parasites. • Little brown bats are larger than little browns and like to form colonies. They only eat insects and can be found in attics. A professional wildlife management company can respond to city of Kingwood bat removal, bat in attic, bat in house, dead bat, bat infestation, bat control, bat removal and bat guano clean up problems. Bats present potential health problems for you and your family. The Critter Team knows how to resolve nuisance bat problems in Kingwood TX. Call The Critter Team today at 281-667-0171 to schedule a bat consultation. The Critter Team is a veteran owned business located in Houston Texas that offers consultations, affordable prices and unrivaled customer service.